Most doctors recommend seafood as part of a heart healthy diet. 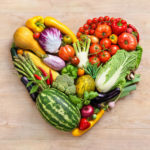 Back in 1986, the JAMA Internal Medicine journal showed that eating a diet rich in fish, nuts and seeds significantly lowered the risks of heart disease. 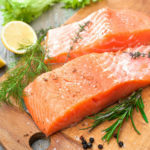 People with higher levels of omega-3 fatty acids (seafood is an abundant source of omega-3) have a significantly less chance of fatal heart attacks than those with lower levels. The U.S. Office of Disease Prevention and Health Promotion (ODPHP) recommends that adults eat two servings of seafood per week. Despite these glowing recommendations, I urge you to be cautious when eating seafood. Some of it can harm your health. 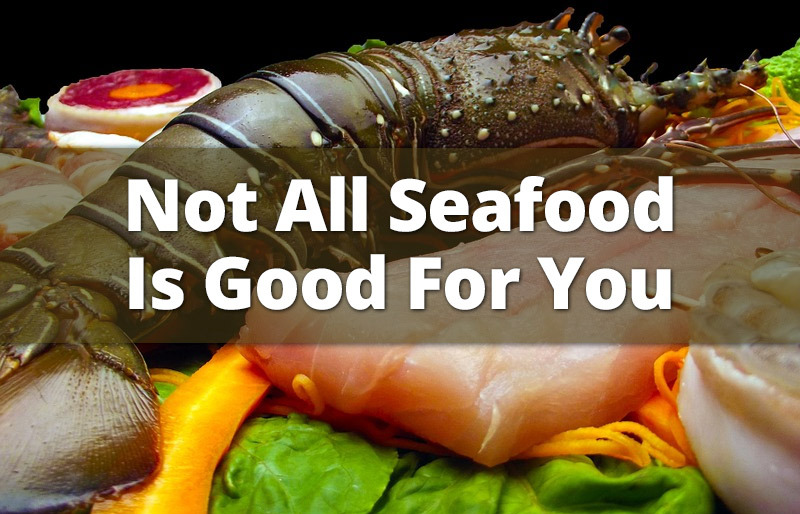 Most seafood is contaminated with high levels of mercury, which is bad for you. Most seafood consumed in the US is farm-raised, and is full of contamination and disease. Fortunately, there are ways to eat seafood, get your omega-3s naturally, and stay healthy. Keep reading for the details. Most seafood contains harmful levels of mercury. This is a big concern for fish eaters. When you eat contaminated fish, you ingest the mercury that has accumulated in it. 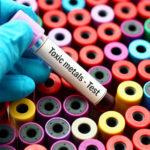 This mercury is bad for you, and even government regulators realize it. The Biodiversity Research Group says mercury can restrict brain development. Mercury has also been found to negatively impact nervous, digestive and immune systems, kidneys and lungs. Testing of seafood has found that some fish contain higher levels of mercury than others. Swordfish, tuna, lobster and shark have been found to be especially dangerous. Cod, fresh water salmon, sardines, anchovies, herring, oysters and shrimp are of lower risk. I like them all, and recommend them as part of your diet. Oysters are loaded with omega-3, calcium, zinc, and protein. Oysters have long been recommended to boost libido. Farmed fish live in their filth. Studies have shown high levels of contaminants in farm-raised salmon. When you eat it, you ingest it, and it can harm you. Farmed fish don’t eat native foods. They are often fed GMO corn, other grains and legumes. 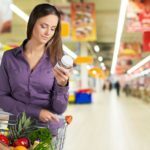 Not only do these foods LOWER the omega-3 content in these fish, they get into your system when consumed and that can make you sick. Antibiotics and pesticides and other chemicals are often used to fight disease and parasites common to fish farms. These all enter your body when you eat farm-raised fish and they aren’t good for your health. Never eat farm-raised fish. Wild only. Alaskan salmon is a good bet, as it is illegal to raise Alaskan salmon on fish-farms. Stick with fish with low mercury levels. Sardines, anchovies, salmon, calamari, cod and herring. Grill, broil, roast or bake seafood. Avoid breading or frying seafood and stay away from creamy sauces, as they add calories and bad fat. When eating out, ask where the fish is from. If it is wild, they will know. If they don’t have an answer, or the price of the fish is low, it most likely is farm-raised. Try this brand of oysters. Fresh is best, but this is a great substitute. Crown Prince Natural Smoked Oysters in Pure Olive Oil, 3-Ounce Cans (Pack of 18) . We also recommend a fish oil supplement. If you have any questions about seafood, diet, omega-3s and health, please email us.